HÀ NÔI The banking sector pledged to meet the capital demand for production and business, especially in five prioritised sectors, Deputy Governor of the State Bank of Việt Nam Đào Minh Tú said at a conference connecting enterprises and banks in Hà Nôi yesterday. The five sectors include agriculture and rural development, exports, parts-supply industry, small- and medium-sized enterprises (SMEs) and high-tech firms. “If credit is tightened to reach the Government’s goal of controlling inflation, it will be only tightened in sectors which potential risks,” Tú said, affirming no credit shortages for the prioritised sectors. Stressing the role of businesses in the country’s socio-economic development, Tú said the banking sector would continue to create favourable conditions for firms to access credit, not only through simplifying procedures but also by cutting costs in order to reduce lending rates. Tú said the central bank would continue its flexible monetary policies to contribute to controlling inflation and stabilising the macro-economy. Credit expansion would focus on quality, he said. According to Nguyễn Văn Thân, president of the Việt Nam Association of SMEs, most SMEs are in dire need of capital for production but face difficulties accessing credit due to limited financial capacity, a lack of legally mortgaged assets and a lack of transparency for trust-based loans. Thân urged banks to develop lending programmes for SMEs and share risks with them. 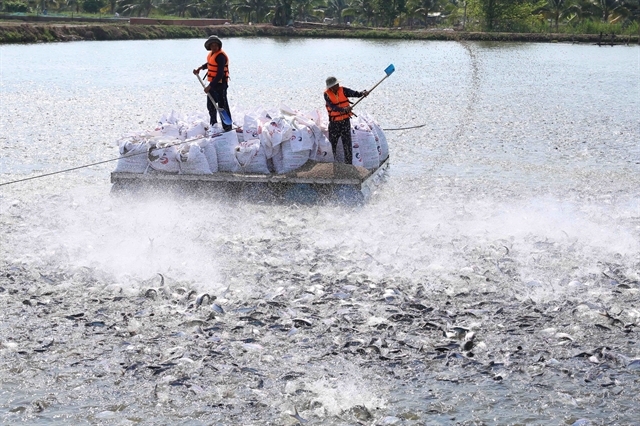 Trần Thu Hằng, general director of a food export company, said that banking procedures needed to be further simplified, especially for SMEs, to enable them to access credit instead of resorting to loan-sharks at unreasonably high rates. According to Trần Văn Tần, deputy director of the central bank’s Credit Department, in an effort to remove difficulties for firms, more than 1,500 meetings between banks and businesses had been held since 2014. Outstanding loans under a programme connecting banks with firms totalled VNĐ2.5 quadrillion (US$107.6 billion) at rates of 6-9 per cent for short-term loans and 9-11 per cent for medium- and long-term loans, statistics from the central bank showed. In Hà Nội, credit institutions provided loans worth VNĐ120 trillion for more than 10,3000 firms at rates of 6-6.5 per cent per year for short-term loans and 8-9 per cent for medium- and long-term loans in 2018. Outstanding loans in the economy rose by around 2.8 per cent in the first quarter of this year compared to the end of 2018.